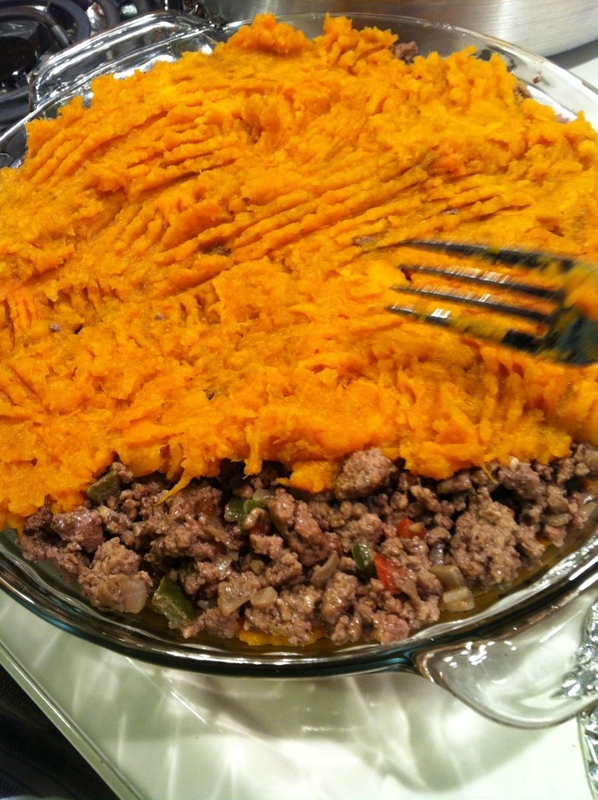 Everything looks better in a pie dish, right?? 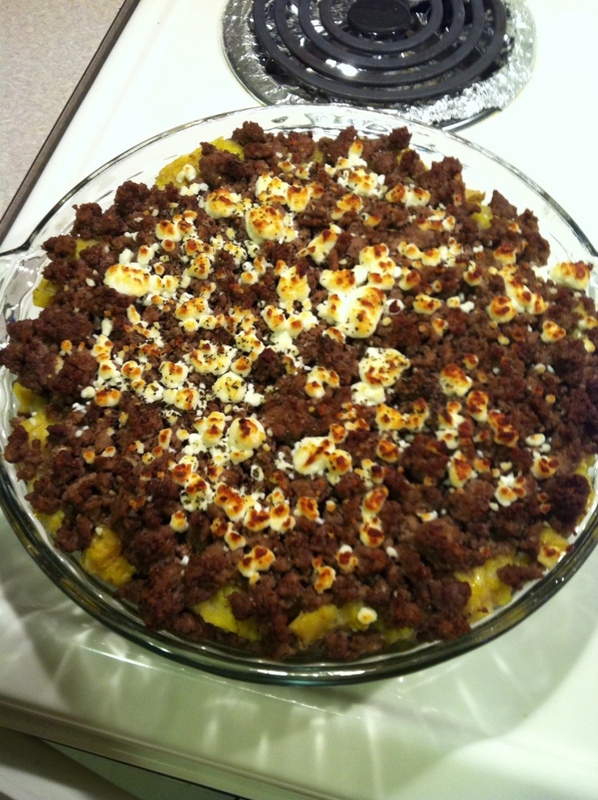 Here are two ideas of making these ground beef “pies”. If you choose ripe plantain, just boil the plantain until soft. Cook the meat with any seasoning of your liking and layer it with the plantain. 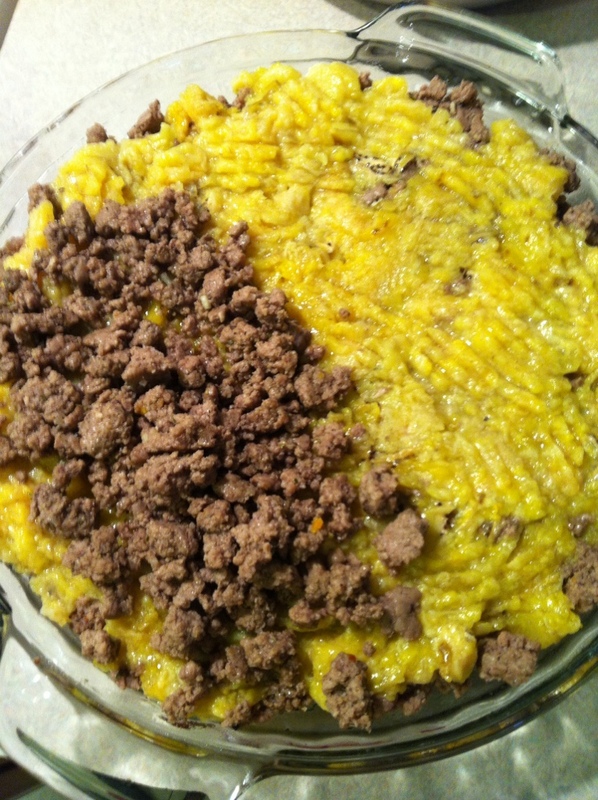 I like to start with the mash and end with meat but it can go either way. Top with cheese of your liking. I use feta or goat cheese and keep it light. Broil 10-15 for cheese to get soft and top layer to get crisp.